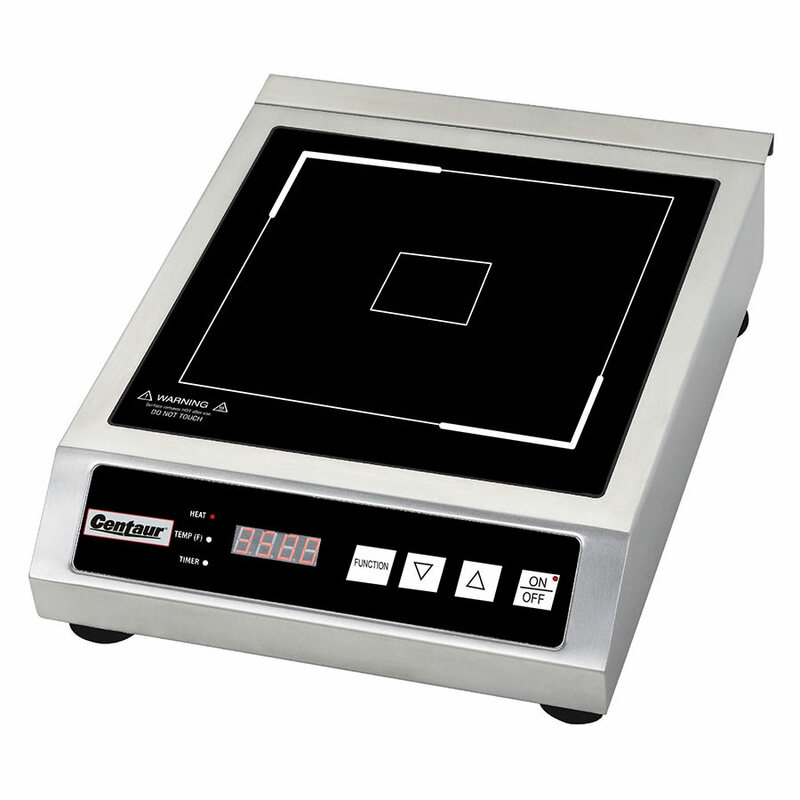 The Centaur AIN18 induction cooktop provides the quick and accurate cooking power of induction in the convenience of a countertop cooktop unit. The 4-digit display and touchpad controls, which include On/Off, Up/Down, and Function buttons, make selecting the correct temperature, wattage, and time as easy as possible. 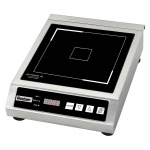 This induction cooktop has multiple power levels that range from 300 to 1800 watts and a temperature range of 140 to 460 degrees Fahrenheit, as well as a timer that goes up to 150 minutes. As an induction unit, the Centaur AIN18 is compatible with cookware that has a flat bottom with a diameter of 4.75 to 10.25 inches, made from iron, cast iron, and enameled cast iron, as well as with stainless steel and other types that have been marked for use induction. The cooktop itself is constructed with stainless steel and a glass cooktop, with non-slip rubber feet on the bottom that provide secure placement on your countertop. The unit comes with a number of safety features to protect it from damage, including protection from overheating and an automatic shutoff when an empty pan is detected. Compatible with flat-bottomed pans with diameters from 4.75 in. to 10.25 in.